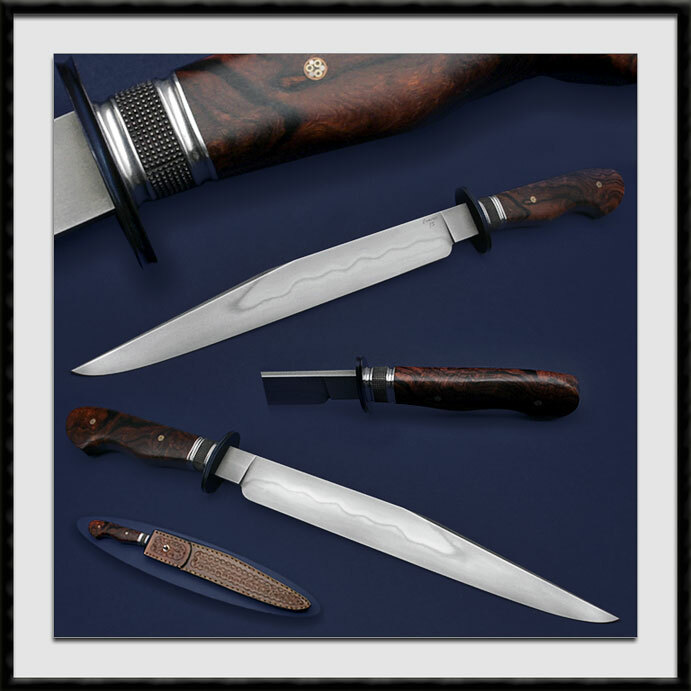 ABS Journeyman Smith, Craig Camerer crafted this Clip Point Bowie, Hand sanded Forged W2 Carbon Steel Blade, Bold Hammond/Temper Line, BL = 11 7/8", OAL = 17 1/4", Blued mild Steel Fluted Guard, Fluted & File Worked ferrule with an outstanding Iron wood Handle accented with 2x Mosaic pins. Condition is Pristine. Comes with the tooled leather sheath pictured also made by Craig. Fit and Finish are Top Shelf.